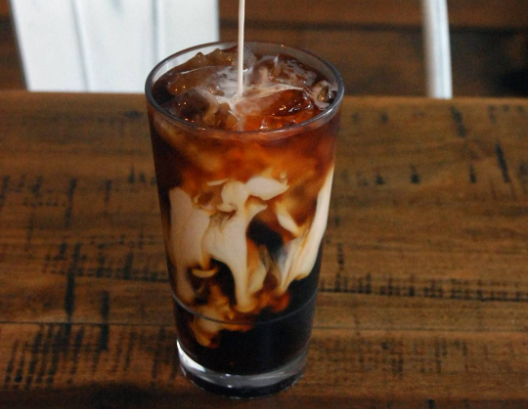 Cold brew is definitely having a moment. And while you may be noticing a recent explosion in popularity – with different varieties available in grocery stores, gas stations, coffee shops, and restaurant chains – it has been around for quite some time, and we reckon it is here to stay. Cold brew is like iced coffee’s much cooler cousin – fuller in flavor, a heavier body, more caffeinated, a longer shelf life, and a better blank canvas for coffee creativity. It’s also a great way to use coffee beans after their peak freshness because the slow steeping is more forgiving with undesirable flavors (as opposed to a hot brew method which would highlight those flavors). While iced coffee will do in a pinch, cold brew is almost always a better option if you’ve got the time to make it. You may have seen walls of coffee shops lined with Yama Kyoto slow drippers, or watched as a barista struggled to lift 5lbs of saturated coffee grounds from a large batch brew in a Toddy, but don’t be intimidated; cold brew is super simple to make, and you can prepare a small batch with tools you (probably) already have at home. * We like to use a blend of 75% darker roast coffee (for a chocolatey flavor and a heavier body) and 25% light-medium roast South American coffee (for caramel sweetness and uniform acidity), but you can use whatever coffee you like. Weigh out 4.3oz of coffee and grind on the coarsest setting your grinder will allow. Pour grounds into a French Press. Measure out 24 fl oz of clean, filtered water at room temperature. Pour over the grounds. Give a stir to the mixture to fully saturate the grounds and ensure even extraction. Leave for 12 hours at room temperature or 20-24 hours in the fridge. After the chosen brew time, push the plunger of the French Press down about one inch for stability, but DO NOT plunge the grounds. After all that time brewing, the grounds are very volatile. Do your best not to agitate the grounds to avoid extracting unpleasant flavors! Decant into a vessel. We like a cleaner cup, so we decant through a rinsed Chemex filter. The concentrate will keep for a week (or more) refrigerated. This is a more versatile option, because you can choose to dilute the concentrate a different way every day, to taste. We recommend a 1:1 ratio of concentrate to water, or concentrate to milk (plus ice). You can also use the concentrate in place of espresso in baking recipes! After decanting into the vessel, add another 24floz of clean, filtered water to the concentrate. This will yield you about 48oz of ready to drink cold brew that will last about 5 days. This is a great option for those who want a quick, on-the-go beverage for the work week. Divide the cold brew up between a few bottles and keep in the fridge. In the morning, all you need to do is add a few ice cubes and you’re all set! No matter which option you choose, this recipe is a great starting point for a basic (but delicious) cold brew – but feel free to let your creativity shine! Use a single origin Ethiopia or devise your own blend of beans. Add a cinnamon stick, whole allspice, nutmeg, and dried ginger to the coffee grounds before brewing and dilute with almond milk for a cozy pumpkin spice-inspired cold brew. Steep with orange slices for a refreshing spin on your morning routine. Dilute with sparkling water rather than regular water for a cold brew soda. The options are endless! Tag us on Instagram with photos of your creations for a chance to be featured on our account – @patriotcoffeeroasters. Happy brewing!